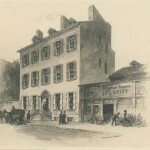 The Union League's first headquarters was in the Hartman Kuhn estate on Chestnut Street. While here, the league published pro-Union materials and campaigned for Abraham Lincoln's second presidential run. Lincoln visited the league headquarters shortly after the successful election and, a few months later, was made an honorary member of the Union League. 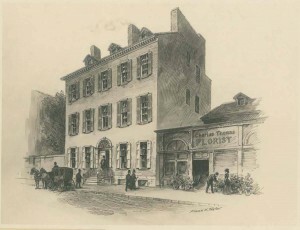 With the opening of its new headquarters on Broad Street in 1867, the league moved out of the Hartman Kuhn estate. It was demolished in the late nineteenth century for the construction of an office building. 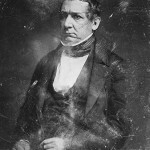 Attorney and former Secretary of the Treasury William Morris Meredith was elected as the first president of the Union League during its first official meeting in 1863. Meredith was active in the Union cause from the early days of the Civil War. In 1861, while serving as a delegate to the Abortive Peace Conference, he attempted to prevent the Southern states from seceding. The next year, he raised voluntary troops for the Union army. His election to the presidency of the Union League the next year was unanimous. He served for only one year, resigning in 1864, and was made an honorary member for life. 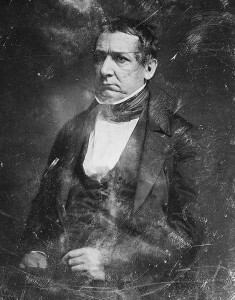 In addition to his work with the Union League, Meredith served as president of the City Council of Philadelphia from 1834 until 1849. He left this position to become secretary of treasury under President Zachary Taylor, serving until Taylor's death in 1850. From 1861 until 1867, Meredith was the attorney general of Pennsylvania. His final political post was in 1872, a year before his death, when he was elected president of the Republican National Convention. It is with heartfelt gratification that I acknowledge the receipt of your communication of the 4th and the accompanying medal, by which I am made an honorary member of the Union League of Philadelphia. I shall always bear with me the consciousness of having endeavored to do my duty in the trying times through which we are passing, and the generous approval of a portion of my fellow citizens so intelligent and so patriotic as those composing your Association assures me I have not wholly failed. I could not ask, and no one could merit, a better reward. Be kind enough, Sir, to convey to the gentlemen whom you represent the assurance of grateful appreciation with which I accept the honor you have conferred upon me. The Union League's headquarters is at Broad and Sansom Streets in Center City. It was designed in the French Empire style by architect John Fraser, a departure from the city's many Greek Revival buildings of the era. The main building was completed in 1865 and has remained largely unchanged. For nearly 150 years, the building was open only to members and their guests. 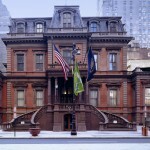 It was not until 2011 that a public area, the Union League Heritage Center, was opened in the lower floor of the building. The Heritage Center features event space, a research center with the Union League's collections, and a museum, and also arranges annual public tours of the entire Union League headquarters. In 1909, the Union League hired Philadelphia native Horace Trumbauer, himself a member of the Union League, to design a large annex to the league’s South Broad Street headquarters. Trumbauer had risen to prominence when streetcar magnate Peter A. B. Widener hired him to design his manor, Lynnwood Hall, in Elkins Park. For the Union League, Trumbauer demolished older annexes built in the late nineteenth century and replaced them with a large Beaux Arts-style building. It was originally planned to install a matching white limestone façade to the main Union League building, but this idea was scrapped due to member resistance. After the Civil War ended, the Union League largely transitioned from an activist society into a social club. Still, the league remained active in Republican politics. Until 1975, prospective members were rejected if they had ever voted Democrat in state or national elections. The patriotic spirit of the Union League was particularly strong during the world wars and the Great Depression. 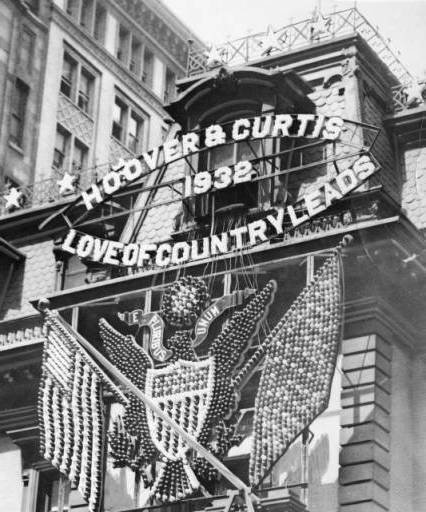 This 1932 photograph shows the exterior of the Union League building decorated in support of Republican presidential candidate Herbert Hoover. Hoover presided during the early years of the Great Depression and received much of the blame for the stock market crash. Despite his poor public image, Hoover won the nomination at the Republican National Convention with a staggering 98 percent of the vote. He lost the general election to Democrat Franklin Delano Roosevelt. Pennsylvania was one of only six states in which Hoover won. 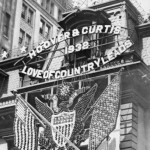 The Union League publicly promoted the campaigns of Republican presidential candidates in the twentieth century including Calvin Coolidge in 1924, Alfred Landon in 1936, and Thomas Dewey in 1944. Governor William Cameron Sproul was the last Republican governor to belong to the Union League. Sproul was a businessman and newspaper editor, holding interests in the area's lucrative railroad and mining industries. He became a state senator in 1896. 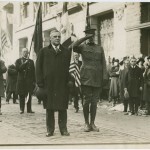 In 1918, while serving as president of the Union League, Sproul was nominated as the Republican candidate for the governor of Pennsylvania, defeating Democrat Eugene Bonniwell by a wide margin. 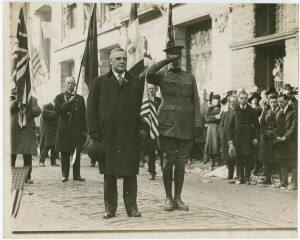 This photo, taken just six days later, shows Sproul and his son Jack leading the Union League in the first Armistice Day peace parade to commemorate the end of World War I. Sproul also chaired the joint New Jersey and Pennsylvania committee to build the Ben Franklin Bridge in 1926. The Union League began as a society to promote the Union cause during the Civil War and helped organize black regiments for the Union army. Despite this, it had no black members for over a century. In 1972, William Thaddeus Coleman Jr. became the first black member of the Union League. 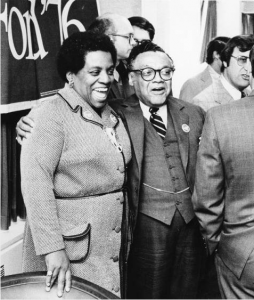 Coleman was the first black law clerk in the U.S. Supreme Court and, in 1954, co-authored the Brown v. Board of Education brief that led to the desegregation of public schools in the United States. 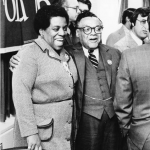 He later served on the legal committee to the NAACP and as a delegate to the United Nations. In 1975, he became the second black cabinet member to a U.S. president when Gerald Ford appointed him to be secretary of transportation. In this photograph from 1976, Coleman, as transportation secretary, appears with Dr. Ethel D. Allen, Philadelphia chairwoman of the Ford for President Committee, at the Philadelphia opening of Ford's campaign at a Sheraton Hotel. Coleman received the Presidential Medal of Freedom in 1995. Despite Coleman breaking the color barrier, diversity among Union League members remains low. Women were only admitted in 1986, and few non-white members have been admitted since Coleman. The Union League of Philadelphia, organized in 1862 as a political club for the support of the Union cause during the Civil War, developed into the premier urban social club of Philadelphia. Over time, it also became an important supporter of Republican political candidates and policies locally and nationally, acquired a significant collection of art and sculpture, and established various relief and civic programs for soldiers, veterans, and youth in the Philadelphia area. In November 1862, a small group of pro-Union Philadelphians met at the home of George H. Boker (1823-90), Philadelphia poet and playwright, at 1720 Walnut Street to form a “Union Club” that would act as a social successor to the Wistar Party (a voluntary association of prominent Philadelphia “gentlemen” who were members of the American Philosophical Society but had broken up over sectional issues) and an alternative to the politically-divided Philadelphia Club. But men like Boker thought a more politically active group was needed, and at the Union Club’s meeting of December 27, 1862 (at the home of Dr. John Forsyth Meigs [1818-82] at 1208 Walnut Street), adopted articles of association for an additional “Union League of Philadelphia.” Like the Union Club, the league’s only condition of membership was “unqualified loyalty to the government of the United States, and unwavering support of its efforts for the suppression of the Rebellion,” but its primary task was activist: “to discountenance and rebuke by moral and social influences all disloyalty to the Federal government … .” As a headquarters, the league initially rented space in the Hartman Kuhn mansion at 1118 Chestnut Street. The league’s first general meeting for business convened on January 22, 1863, and elected former U.S. Treasury Secretary William Morris Meredith (1799-1873) as its first president and George H. Boker, the first secretary. Its first project was a series of pro-Union publications that could be distributed across the North by direct mail. Eventually, over the course of the war, the League’s Board of Publication issued over four and half million copies of 145 separate pamphlets, and employed a staff of twelve just to handle distribution. The league also raised money to provide bonuses for soldier recruitment, and in 1863 sponsored the organization of five black regiments (3rd, 6th, 8th, 22nd and 25th U.S. Colored Troops) in Philadelphia and a “Free Military School” to train their officers. On June 16, 1863, the league played host to President Lincoln, visiting Philadelphia just after his nomination for a second term as president. By the end of the war, the league’s membership had grown to over a thousand, with almost half that number serving at some point in uniform. The prestige it had successfully amassed during the war assured the league, and the Republican Party, a dominant place in Philadelphia and Pennsylvania politics, and helped usher in a Republican ascendency in Philadelphia that prevailed with little interruption for nine decades. As one indication of its self-confidence and status, the league built a new League House at Broad and Sansom Streets, turning away from the popular Greek revival style of Philadelphia’s pre-war architecture in favor of a lavish Second Empire building. The league, meanwhile, endorsed Radical Reconstruction, including black civil rights, and made streetcar desegregation in Philadelphia one of its most successful post-war campaigns. In retaliation, an arsonist attacked the league’s new house on September 7, 1866, forcing the rebuilding of the upper floors and delaying its reopening until 1867. In the post-Reconstruction decades, the league began a lengthy self-transformation into a cultural as well as a political institution. In 1882, the league established its own Art Association, which not only bought art works for the League House, but made the league the most important sponsor of city-wide art exhibitions until the opening of the Philadelphia Museum of Art in the 1920s. In 1880, the league began purchasing properties along Moravian and Sansom Streets in preparation for constructing its first annex. In 1909 the cornerstone of the league’s final addition (extending to Fifteenth Street) was laid, with the Philadelphia architectural prodigy Horace Trumbauer (1868-1938) as its designer. At the turn of the century, the league remained politically prominent in Republican politics at all levels. Of the seven governors of Pennsylvania between Reconstruction and 1906, five were league members. In Philadelphia, one of the league founders, Morton McMichael (1807-79), was elected mayor in 1866, and of the next eleven mayors up to 1916, eight were active Union Leaguers. But in the twentieth century, as the Republican ascendency built by the Civil War passed from the scene, the Union League lost its political influence, and increasingly turned inward as a refuge for the city’s business elites. After 1916, not a single Republican mayor of Philadelphia was a league member, and eventually, not a single member of the Republican City Committee; only one governor thereafter, William Sproul (1870-1928), belonged to the league. The onset of the Great Depression jolted the league, and although the league was the first civil organization in the city to raise money for unemployment relief, the league itself suffered a 17 percent decline in active membership. 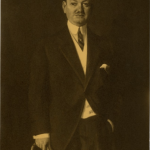 It was also sharply critical of the New Deal policies of Democratic president Franklin D. Roosevelt; indeed, league president Otto Robert Heligman (1879-1941) called for the league’s rolls to be purged of any members who had voted for Roosevelt. 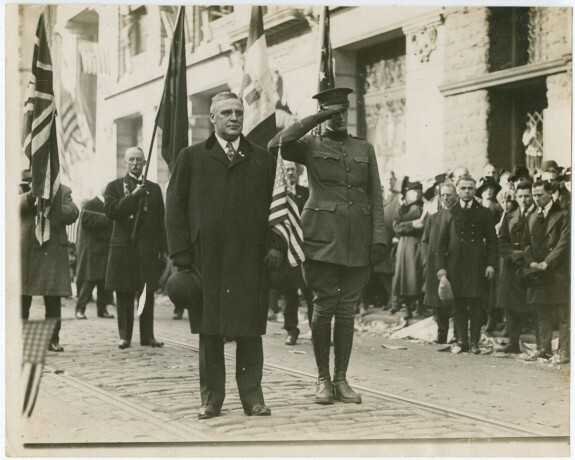 When Roosevelt was reelected as president in 1936, a jubilant throng of Roosevelt supporters paraded down Broad Street to the league, where Democratic City Committee chairman John B. Kelly (1889-1960) climbed up the front portico of the League House and tore down the league flag. The two world wars brought the league back into action as a visible patriotic organization. As Judge William W. Porter (1856-1928) reminded the league’s annual meeting after America’s entrance into the First World War in 1917, the founders of the league had never said a word about creating a “social” club. “Liberty Loans” managed by the league raised $17 million to support American involvement, and 200 of the league’s 2,600 members served in uniform. When the attack on Pearl Harbor in 1941 brought the United States into the Second World War, the league once again launched large fund-raising campaigns, and 187 league members joined the armed forces. 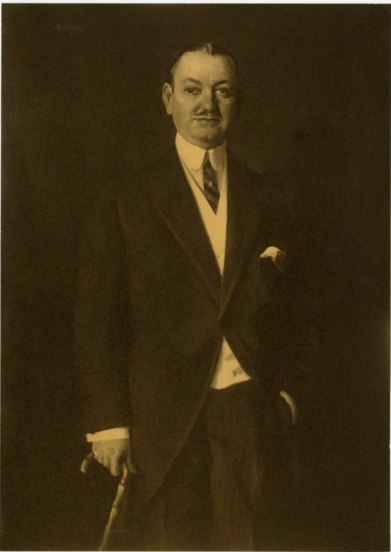 In 1959, facing the consequences of declining membership and significance, league president James M. Anderson (1900-77) appointed a committee to invent ways of keeping the league vital. Anderson chose for the committee chair J. Permar Richards (1915-2004), a former Olympic rower, and when Richards became league president in 1967, he aggressively expanded the league’s activities calendar to keep members’ attention from straying too much to the suburbs. In 1972, William Thaddeus Coleman Jr. (b. 1920), who later served as secretary of transportation under President Gerald Ford, became the league’s first black member. In 1975, league president Burton Etherington (1909-2006) set aside the requirement (in place since 1893) that prospective members identify themselves as having never voted other than Republican for a state or national office. In 1982, President Perrin C. Hamilton (1921-2005) recommended admission of women members. At a stormy general meeting on January 11, 1983, to the dismay of Hamilton, 60 percent of the members present voted the measure down. The threat of legal action pushed the question back to the forefront of league attention, and at the behest of President Robert G. Wilder (1915-2002), the league membership reversed itself on May 19-20, 1986, paving the way for Mary G.H. Roebling (1905-1994) to become the league’s first woman member. The league’s first woman president, Joan Carter (b. 1943), was elected in 2011. These changes set the stage in the 1990s for the most dramatic recruitment campaign the league had sustained. While many historic urban clubs of the Northeast, unable to offer activities that would attract clientele to a downtown location, closed their doors between 1990 and 2010, the league aggressively marketed itself as a downtown event and hotel location. 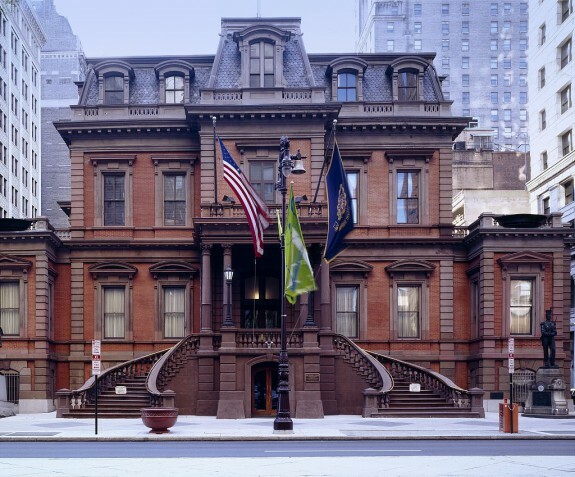 It transformed its overnight accommodations into the Inn at the Union League, revamped its dining facilities, established a Heritage Center to house its archives and mount exhibits, and acquired its own parking garage. The league’s Youth Work Foundation, which began as an initiative of league president Millard D. Brown (1882-1957) in 1946 to promote “good citizenship” among Philadelphia’s youth, was by 2016 partnering with fifty-two Philadelphia organizations to recognize more than 250 high-schoolers at an annual “Good Citizen Day” at the league. In 2012, the Platinum Clubs of America ranked the league as the country’s number-one city club. The league’s prosperity is a marker of how a private institution can play a public role in the life of the city, and serve simultaneously a social and a civic goal without subtracting from either. Lathrop, George Parsons. History of the Union League of Philadelphia, from Its Origin and Foundation to the Year 1882. Philadelphia: J.B. Lippincott, 1884. Leigh, Oliver H.G., ed., Chronicle of the Union League of Philadelphia, 1862-1902. Philadelphia: Wm. F. Fell, 1902. Mendte, Robert. The Union League of Philadelphia Celebrates 125 Years, 1862-1987. Philadelphia: William T. Cooke, 1987. Mitnick, Barbara J., ed. The Union League of Philadelphia: The First 150 Years. Philadelphia: Abraham Lincoln Foundation of the Union League of Philadelphia, 2012. Whiteman, Maxwell. Gentlemen in Crisis: The First Century of the Union League of Philadelphia, 1862-1962. Philadelphia: Winchell Co., 1975. Heritage Center of the Union League of Philadelphia, 140 S. Broad Street, Philadelphia. Union League of Philadelphia Art Association Records, 1867-1911, Free Library of Philadelphia, 1901 Vine Street, Philadelphia. League House, 140 S. Broad St., Philadelphia. I’m writing hoping you’ll be able to answer a question that I’m having a difficult time finding an answer to and it is this: What was the Union Leagues’ policy regarding ethnic membership ( Italian, Irish, etc.,) during the early years when the Union League opened it’s doors? I know blacks weren’t offered membership until the early 1970’s.